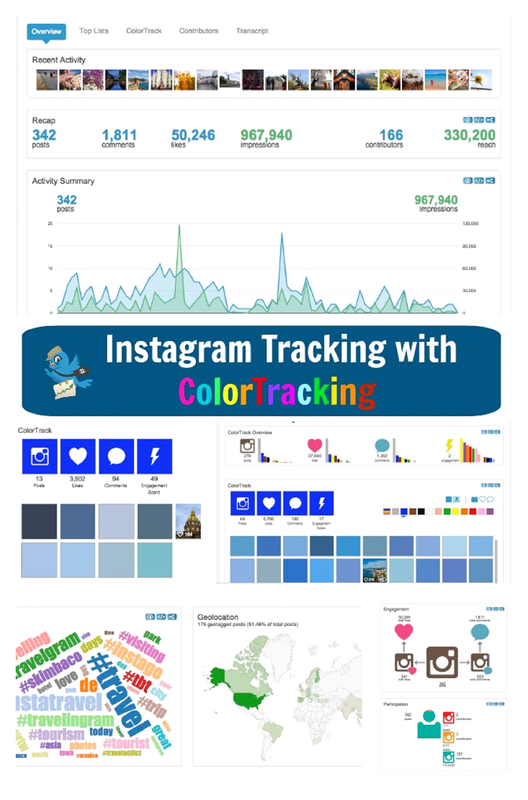 Hashtracking ColorTracking is the first and only Instagram tool that provides insight into the role of color on Instagram. Hashtracking’s new streaming wall functionality displays real-time Instagram and Twitter analytics. Hashtracking, the leading hashtag analytics company, now offers side-by-side Twitter and Instagram hashtag reporting as well as patent-pending ColorTracking analytics. ColorTracking technology offers marketers the ability to analyze and predict Instagram image performance with real-time color data. Hashtracking for Instagram includes the simple and easy-to-read charts and graphics that have made Hashtracking the leading Twitter hashtag analytics solution. Instagram reporting includes a full suite of shareable, embeddable infographics as well as reports with searchable media transcripts, similar to Hashtracking’s Twitter analytics. Track Instagram engagement based on image color. Filter, sort, and display Instagram images based on color. Use color intelligence to increase campaign success and optimize images. Hashtracking subscribers will not pay any additional fees to access Instagram Analytics and ColorTracking. Hashtracking offers a free Explorer tool which provides a quick and easy way for anyone to test the platform and to view a snapshot of recent hashtag activity. Hashtracking Instagram Analytics have been in private beta since January and were previewed at New Media Expo and TBEX Europe during April and May in the form of Hashtracking’s new streaming wall functionality, which displays real-time Instagram and Twitter analytics to attendees, as well as a leaderboard which shows side-by-side results for multiple hashtags. As hashtag news and trends continue to stream, Hashtracking will continue to track hundreds of hashtags on Twitter and Instagram and will provide full hashtag analytics for specific hashtags to qualified media on a per request basis. Hashtracking, Inc. provides real-time hashtag tracking and intelligence that give subscribers instant access to actionable data, helping them to run more successful campaigns and gain greater insight into customer conversations. Hashtracking, Inc. provides full-featured drill down reports, which supply powerful hashtag insight, including detailed contributor lists, influencer data and complete, searchable/filterable transcripts. Hashtracking, Inc. reports and graphics can be exported for use on websites and in presentations and/or shared on social media. 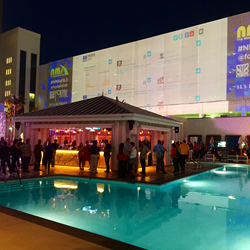 Hashtracking offers streaming wall and leaderboard technology at no extra cost to subscribers. For non-subscribers, Hashtracking, Inc. offers a Free Explorer tool which provides a quick and easy way for anyone to get a snapshot of recent hashtag activity. For more information, visit http://www.hashtracking.com. Hashtracking.com ColorTrackingHashtracking ColorTracking is the first and only tool that provides insight into the role of color on Instagram.